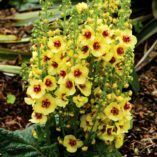 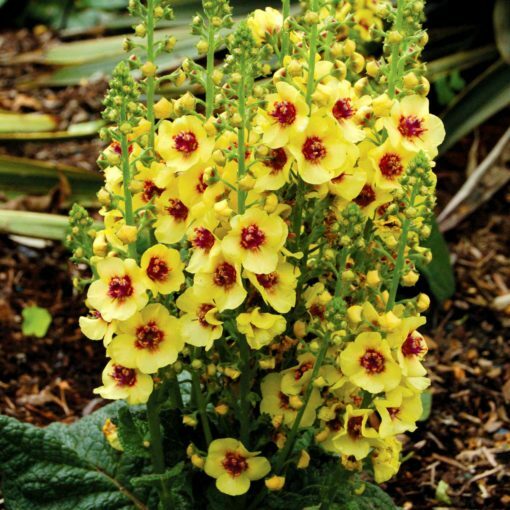 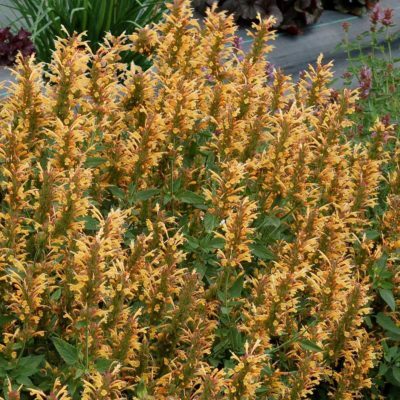 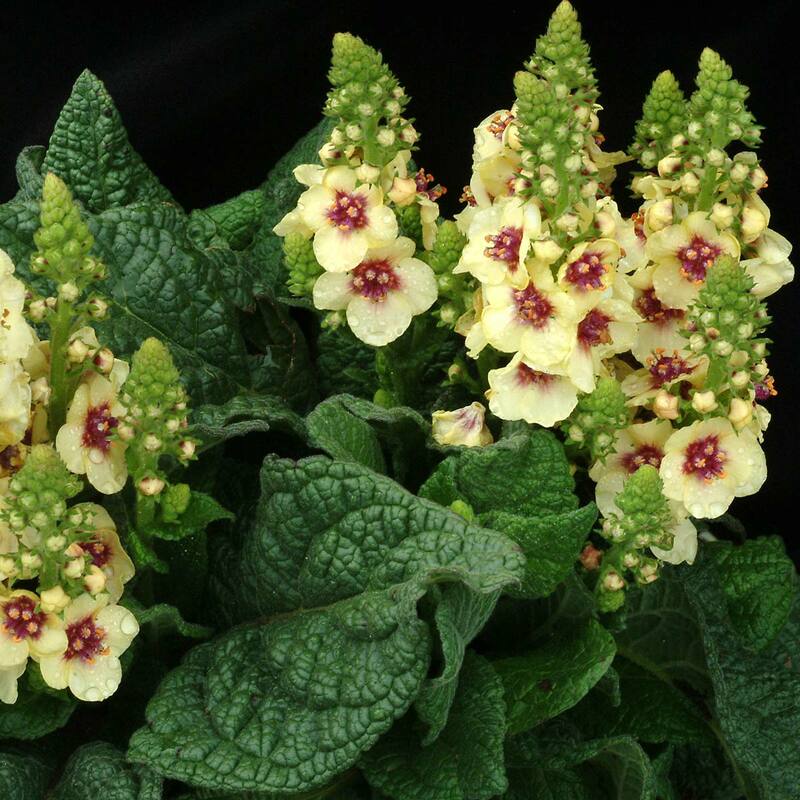 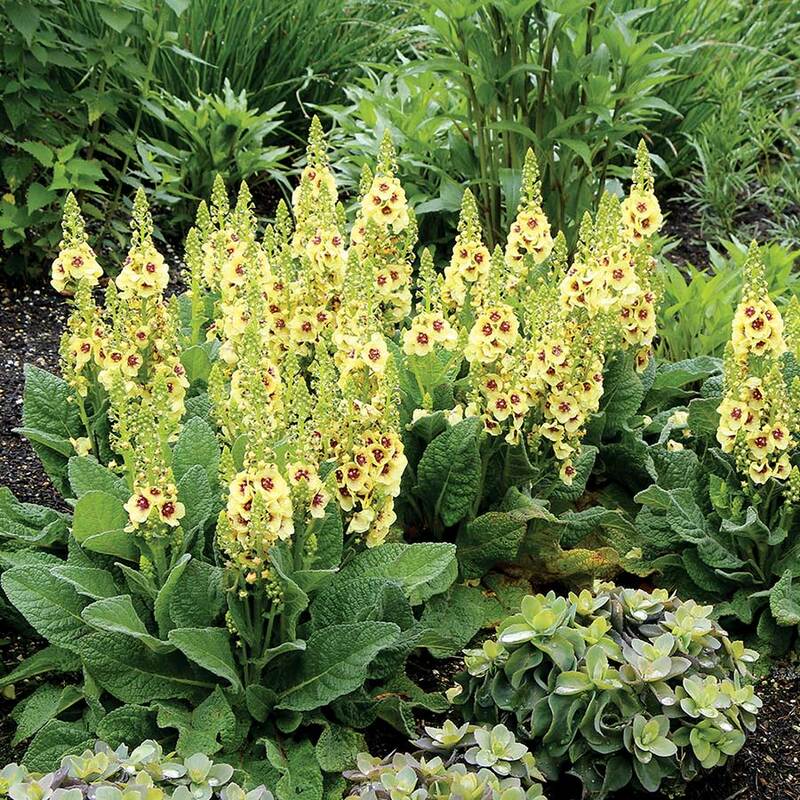 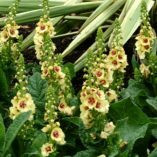 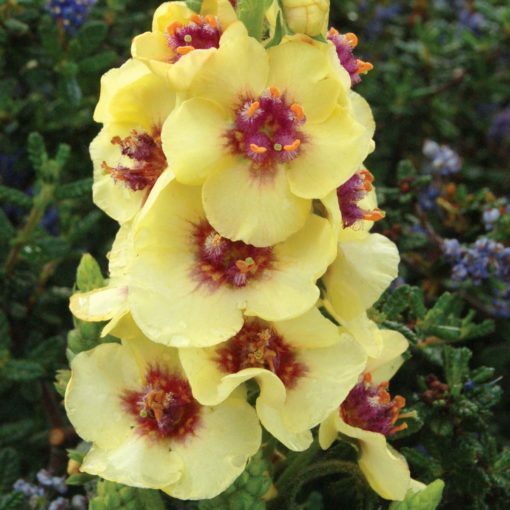 Verbascum ‘Dark Eyes’ | TERRA NOVA® Nurseries, Inc.
'Dark Eyes' has an very short habit with large felted gray leaves in a rosette and cone shaped spikes of large, creamy yellow flowers with large maroon centers. 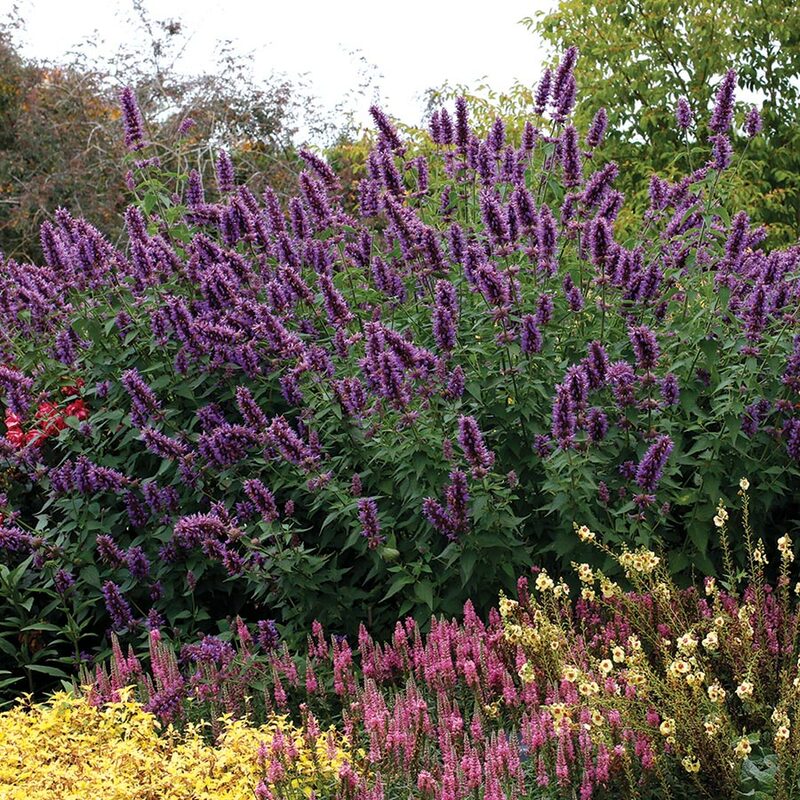 Wonderful in front of a sunny border! 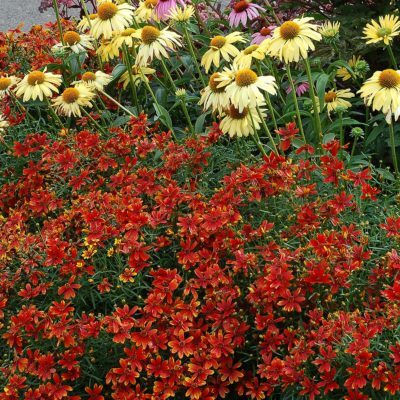 8" / 10" / 12"
Excellent porosity and high mineral. 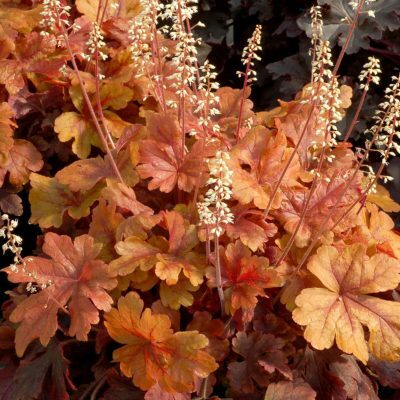 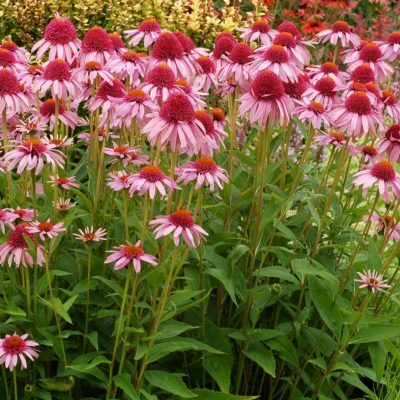 Shorter than 'Jackie' with larger, grayer leaves. 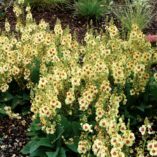 Sun garden, mixed beds or borders. 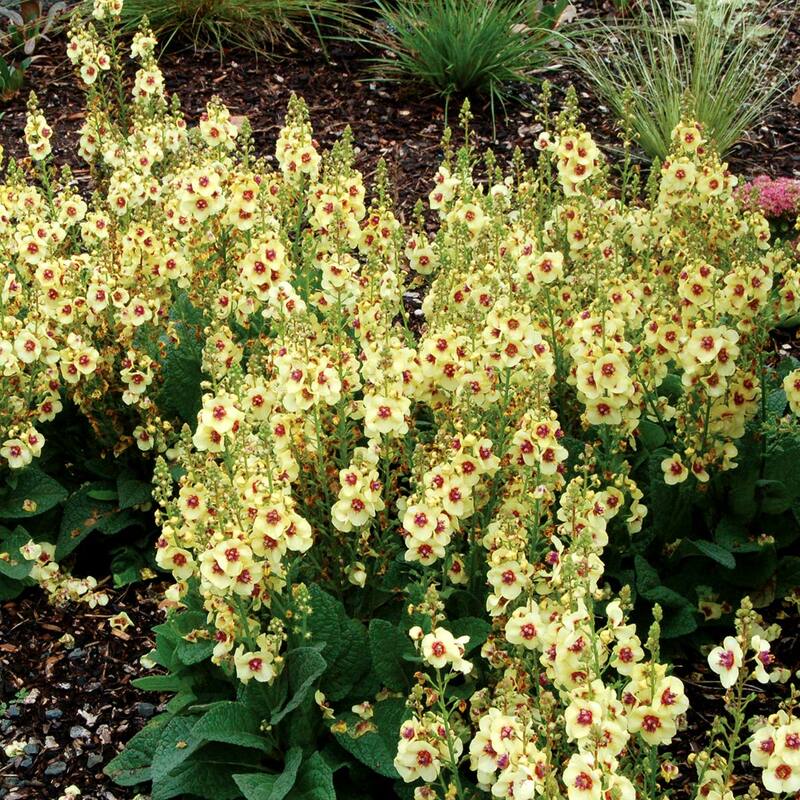 Don't over fertilize. 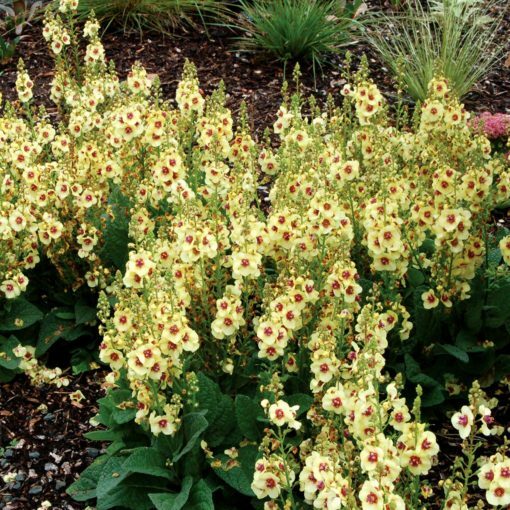 Great drainage is a necessity in wet winter areas. Flower color in lower light is lighter. 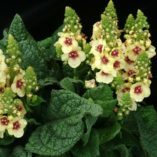 Grows well in S. California. 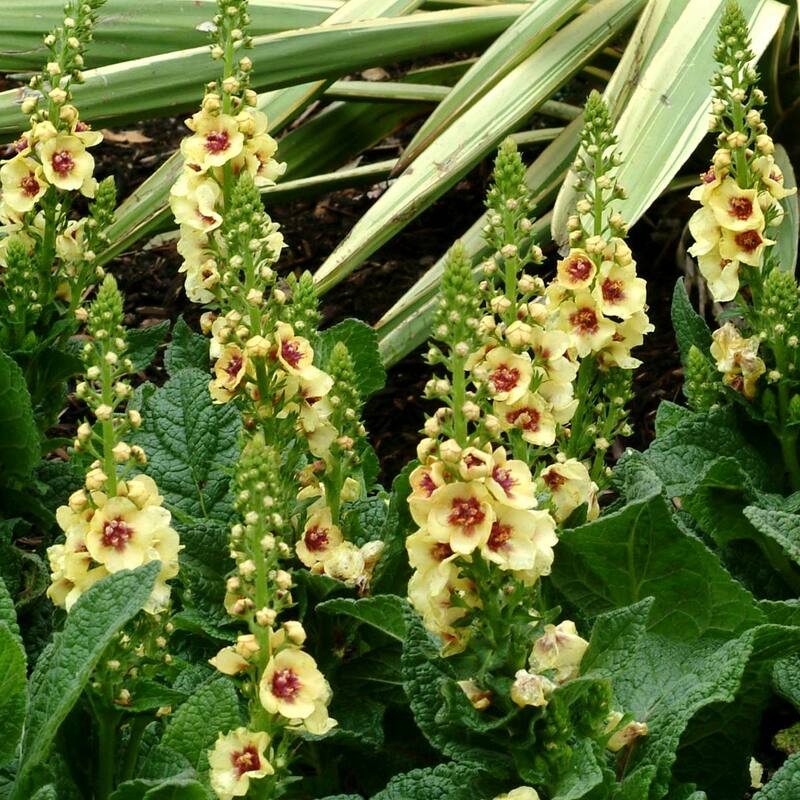 Deer and rabbits tend to leave the Verbascum alone.